As most of you will know I have joined the wonderful world of Twitter. Despite my initial scepticism I have become a bit of an addict. I'm not sure why I'm so surprised that I'm hooked, I am nosey my nature, and Twitter is a little snapshot of people's lives! With the exception of peeking in to other people's lives, Twitter is also proving to be very revealing in all aspects of literature. My most recent discovering is the Lincolnshire Young People's Book Award. I'm rather embarassed to say, the despite living in Lincolnshire for my whole life, until four years ago, and my parents still live there, I had never heard of it! 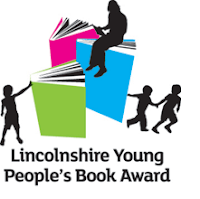 So I popped online and discovered that the Lincolnshire Young People's Book Award website is pretty out of date so I'm unable to share with you the longlist. I'd really love to learn some more about this award, so if anyone has any information, please let me know! I also noticed an advert for the first Portsmouth Book Fest, which runs from Saturday 23rd October to Sunday 14th November. I always love hearing about new literary events, its restores my faith in the publics love of literature. The Portsmouth Book Fest only had a few events, but best selling authors Jacqueline Wilson, Josephine Cox and Louise Rennison are there, as well as other local author Isabel Ashdown, amongst others. I really hope the festival is a success, and returns next year. 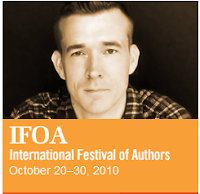 Finally, this week (well ten days, 20th - 30th October) is the International Festival of Authors. Beginning in 1980, the festival aims to bring together the best writers of contemporary world literature, and its schedule certainly does justice to its mandate. Pulitzer prize winner Richard Ford opened the festival, Nicole Krauss hosted a discussion, and last night the festival celebrated 75 years of Penguin, and tonight it presents Roger Writer's Trust Fiction Prize. Later this week discussions include insights in to writing contemporary fiction with Eleanor Catton, Brando Skyhorse and Ali Smith, as well as a conversation about the influence of community and culture with Sandra Birdsell, Russell Wangersky and Michael Wex.